Ohio Valley Christian junior Miciah Swab defends an Ironton Saint Joseph player during the first half of Friday night’s boys basketball contest in Gallipolis, Ohio. GALLIPOLIS, Ohio – The arrival of 2018 has not started the way the Defenders had hoped for. 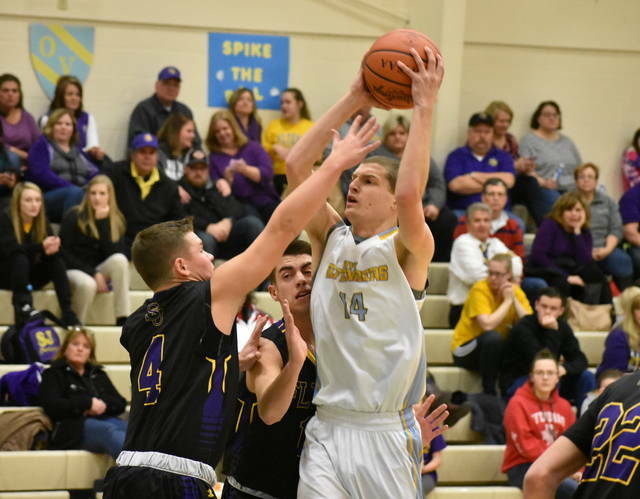 In its second game of the new year, the Ohio Valley Christian boys basketball team was defeated by a final score of 66-27 by the visiting Ironton St. Joseph Flyers. The Defenders (3-10) fell behind early in the contest – as the Flyers (8-2) soared to what proved to be an insurmountable lead by way of an 11-0 run. OVC scored only once in the first quarter, as Justin Beaver’s three-pointer at the 4:37 mark provided its only offensive tally. The Flyers surged to a 21-3 advantage in the first by way of a 11-for-17 shooting performance. In contrast, OVC shot just 1-for-11 from the field. OVC increased its offensive output in the second quarter. However, St. Joseph continued to generate scoring as well, extending the deficit to 36-13 at halftime. For the first half, the Flyers shot 16-for-30 for a total of 53 percent. Meanwhile, the Defenders shot just 4-for-22 for a total of 18 percent. Ironton St. Joseph broke the game open with a 16-10 run for a 52-23 lead at the end of the third quarter. The Flyers also dominated rebounding in the third period, as they collected 10 rebounds in comparison to two by the Defenders. 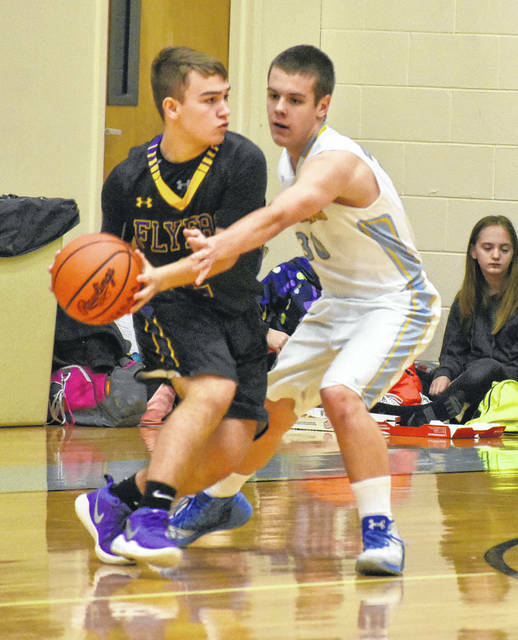 The Flyers out rebounded the Defenders 41-14 in the game. The Defenders were held to just four points as a team in the fourth quarter, as the Flyers utilized a 14-4 run to close out their eighth win of the season. OVC boys basketball head coach Steve Rice assessed his team’s performance. Coach Rice also highlighted what could be learned by his team’s performance. Justin Beaver lead the Defenders in scoring with 12 points. Andrew Dubs provided eight points in the loss. Jeremiah Swab and Micah Swab each had five points and two points respectively. Chase Walters paced ISJHS with 16 points and Joey McDavid chipped in 11 markers.